Aside from two blasters being marketed as Wonder Woman toys (the Gauntlet and Slambow, which really weren't heavily aimed at girls anyway), Mattel really hasn't had any feminine blasters. 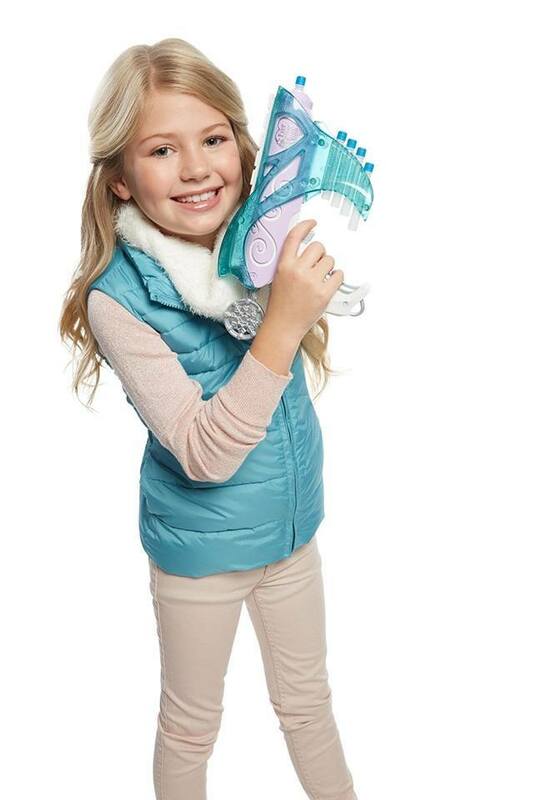 Nerf has ruled that sector with the Rebelle line with relatively little opposition. 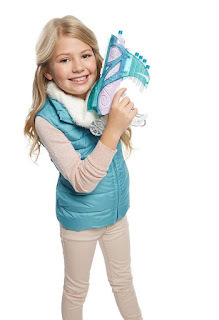 So I find it somewhat surprising that Mattel would try something like this. Even so, it at least has an interesting design going for it. 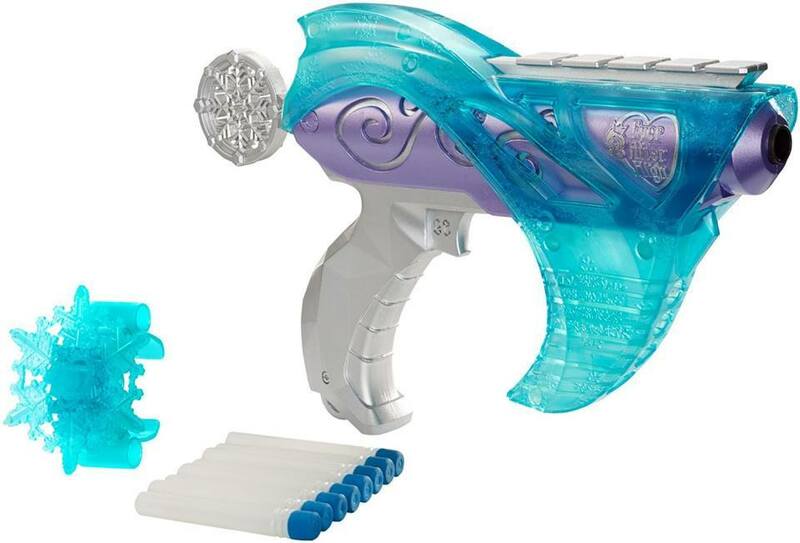 In a picture album from the Ever After High Dolls Facebook page, we see that it comes with 8 darts. 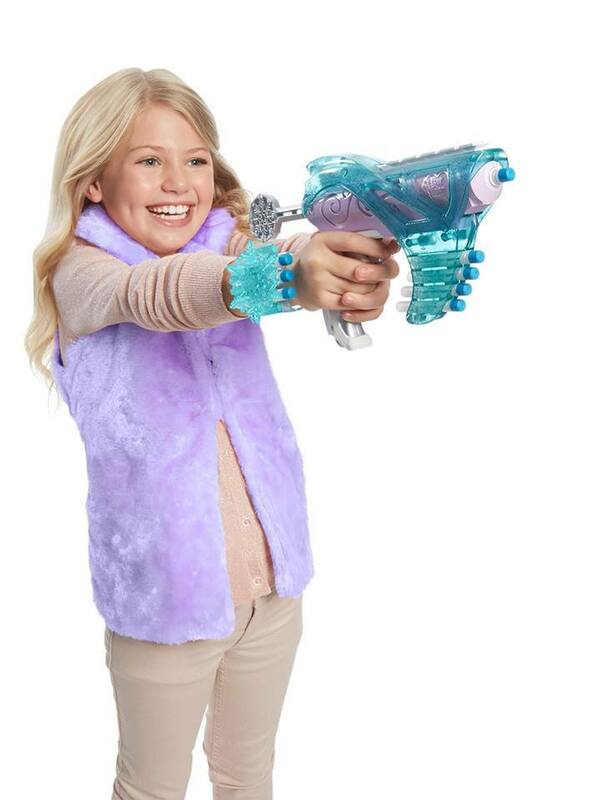 Five darts can go on the blaster (including the barrel), and another three can be stored on the included bracelet. Operating instructions are exactly as expected. I haven't seen a confirmed price, although Entertainment Earth has it listed for $13. If anything, it's at least an interesting reshell. But I'm not sure I like the Farshot being turned into Mattel's Nerf Jolt that gets endlessly reshelled and rebranded. The Farshot is exceptional really. And best of all, it's not as expensive. Do you know about the type your essay. I hope you will love it too. War Machine - Soon to Be a Nerfing Reality?